1. What is Promote App feature? 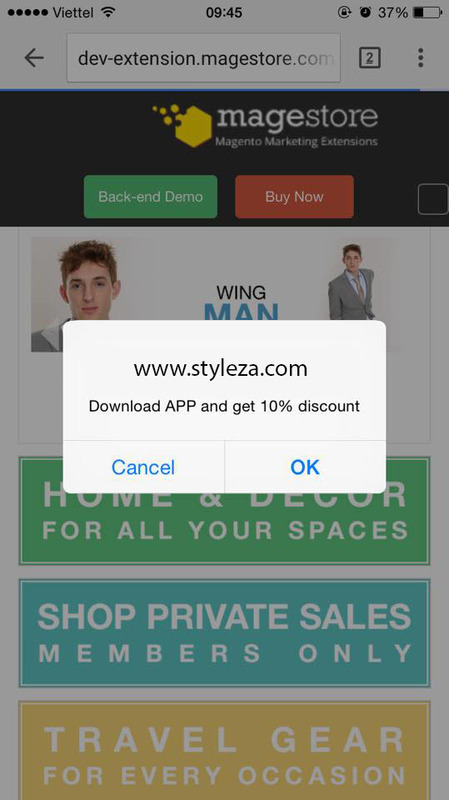 This feature lets you display an alert message on customers’ mobile screen when they visit your store on mobile browsers. The message is to encourage them download and install your app from app stores, like in the example below. 2. When can you use it? You can only enable this feature once your app has been approved and published to app marketplaces. This is because you need the app download link to direct customers to your app’s download page. 3. How to configure Promote App feature?